Since we’ve introduced in this world of bloggers with The Korean Car Blog in 2010, we have opted for the Interview, the curious thing is how this idea was created. When I met Erick, he has the idea about to create a space where owners can share his creations and he was the first interviewed lol. 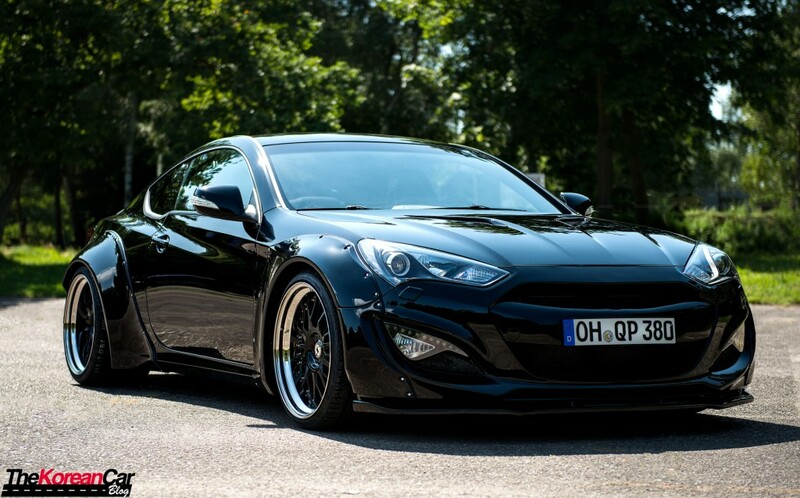 After a while, too much time without interviews, we come back to keep the interviews online and the first car we have selected for this job is this amazing 2013 Hyundai Genesis Coupe 3.8 MT directly from Germany. Now lets get this interview rolling! I am Nils Weinberg from North Germany – 25 years old – I’am independent with a Food-Store and have about 50 employee’s. There is only 1 car which I had before – and I still have it! It’s a Hyundai Getz TBi (facelift). I own it when I was 17, because since 2007 you can own your license here in Germany with 17 Years. 3. 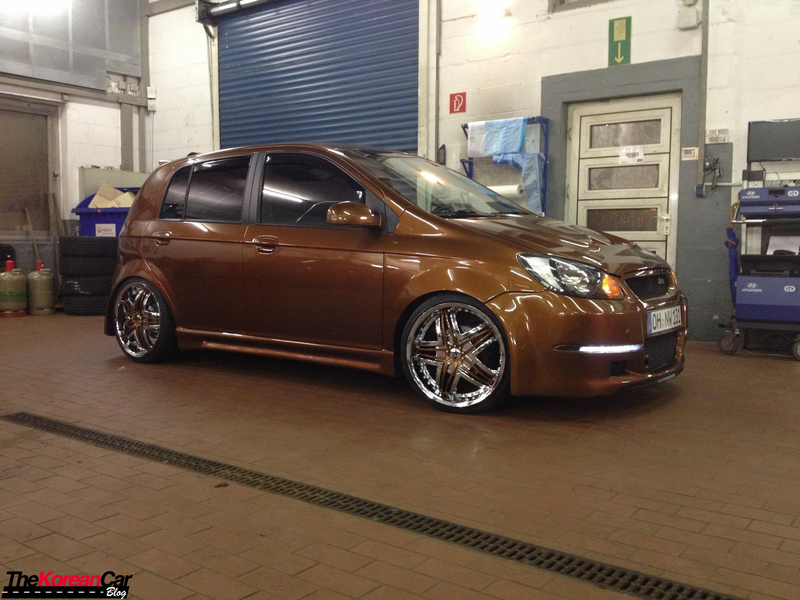 The first car I modified was the Hyundai Getz. 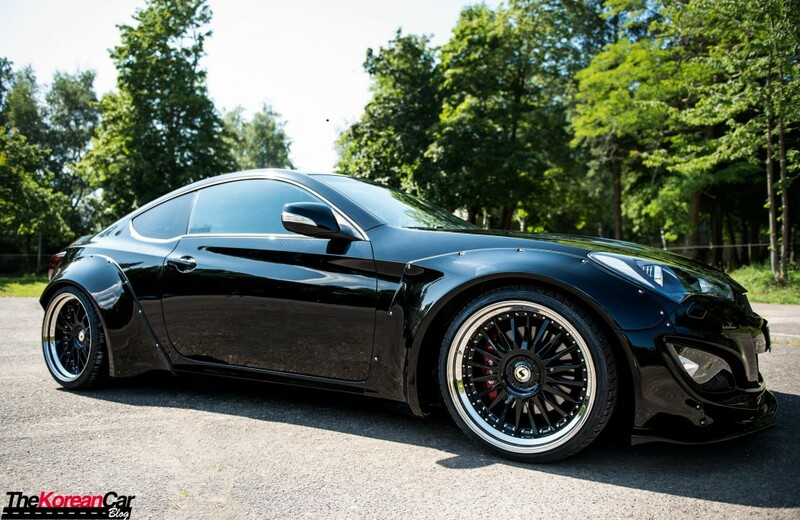 At that car nothing is original – Complete new paint job – Bodykit from the Philippines – Engine swap from 1.1l to 1.6l – Coilovers – 18″ rims – Audio System – König Sportseats and much more. I modified it because everybody said there are no parts available here in Germany, so I started to Import parts from all over the world by myself. Me and my good friend Pantelis, who is a Hyundai car guy, made all the work. I’ve done the Interieur step by step and he made the bodywork and engine swap and all my other idea’s. After 8 Years now I can say the car is finished and ready – now I am going to maintain the car every year! 5. How did Hyundai grabbed your attention? Hyundai grabbed my attention, because my parents had a Hyundai Santa Fe. So we looked at Hyundai also, our Hyundai car dealer was really good and nice. 6. 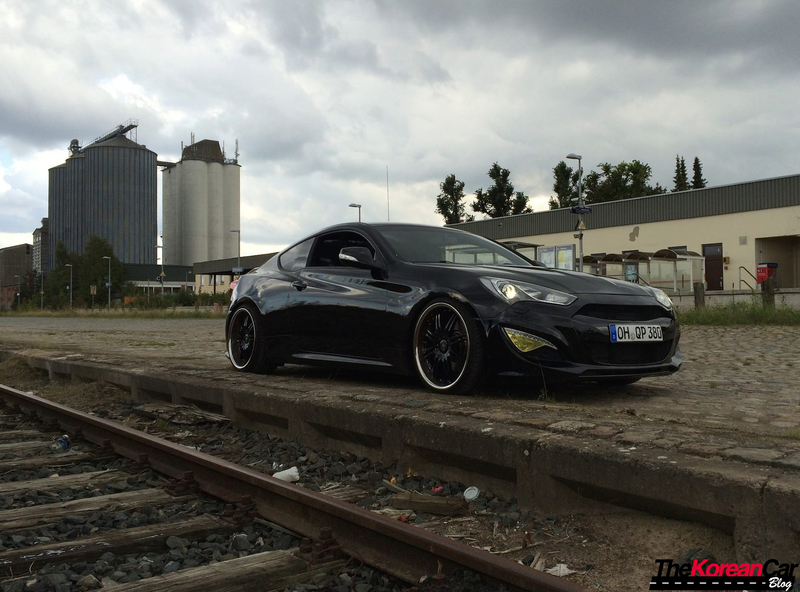 Tell us your current modifications on your Genesis. There is no single modification i like most – The best part is the rear end of the car! 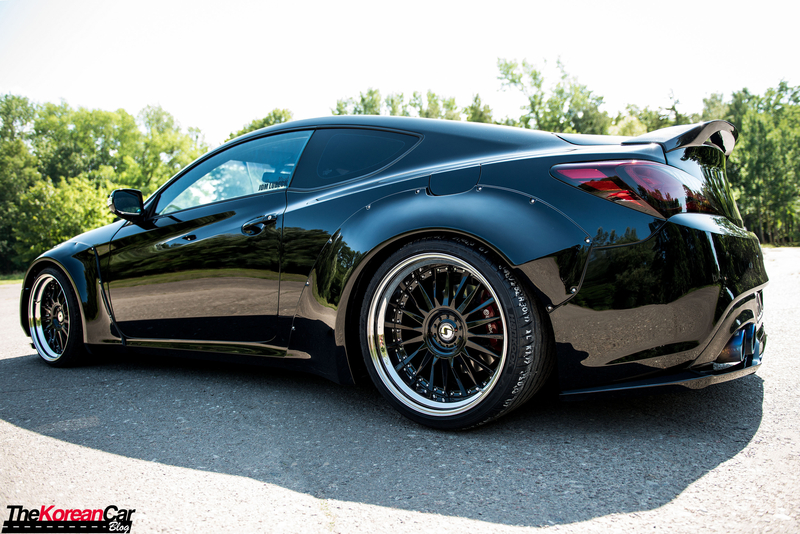 These wide wheels and rims unter the flares – the lip, the spoiler on top with the dark taillights. I see a lot of potential and I saw it before the mods too. 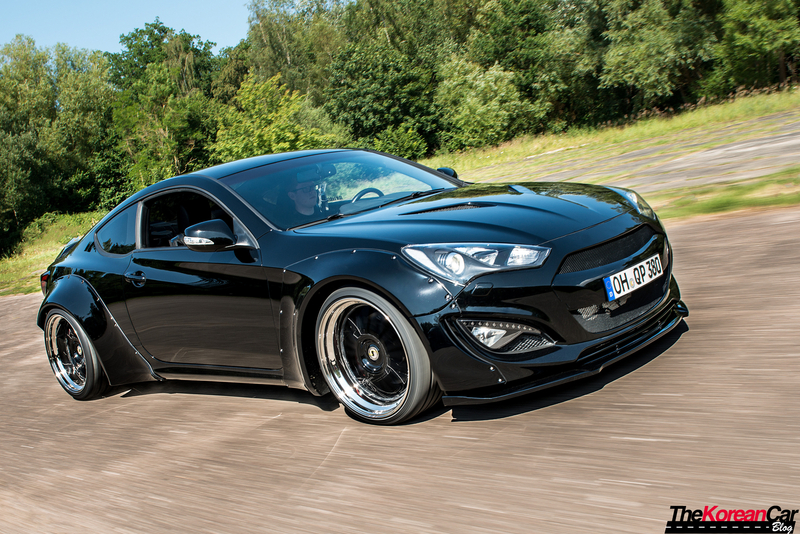 The Genesis is very exclusive car, with a strong engine – a nice shaped body. It’s a car you don’t see everyday on the road (here in Germany). Now where i cleared all Hyundai signs on the body of the car, everybody asks: Which car is that? And when I say, It’s Hyundai, most people don’t believe me at the first time. Now since i cleaned all the Hyundai signs. 9. 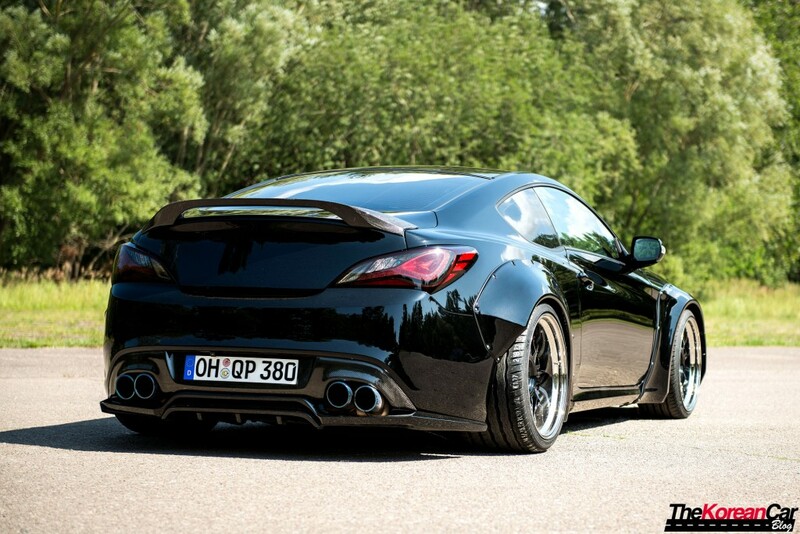 Tell us what you love about your Hyundai Genesis Coupe? I love the Genesis because, like I said at question 8, it’s a car you don’t see every day at the street. I have the 3.8l engine – I can just chill at the motorway with cruise control, but when I kick down, the egine is very strong and powerful also. 10. How difficult is to modify your car in Germany? It’s very difficult, because here in Germany we have ‘TÜV’. They have an eye on all of our customisations. You can’t buy a spoiler and put it on the car and drive around – you have to install the spoiler and have too drive to the TÜV. They look at the spoiler if it’s okay and safe – thats very difficult for parts from other country. They don’t trust the material or it’s too thin or something like that. So you have to check everything twice. If you don’t do that and you get controlled by the police you can lose your license very fast. 11. Are you part of a car club? Yes, I’am a part of a Car Club. I’am an Admin of JDM Lübeck. It’s a JDM Group here in North Germany with about 300 people. We drive to different meet’s, but mostly we do it for the personal contact. 12. Do you usually work on your Genesis by yourself? There are a few thing’s which I made by myself. I’ve done the Tablet install and the custom subwofer in the back and many other small things. I don’t have much time for bodywork because I’am very busy in my Job. But when there is something to do at the Genesis I’am helping every time and read me into the topic. I’am not driving to the shop and let the car finished of it… If I would made a second training I would work as a car guy or a paint guy. 13. What are the future plans for your Genesis? The Furure plan for this Year Is the KSport AirSuspension which I hope will be installed at the end of August. 14. We are dedicating this space for you, for example thanking everyone you like or giving some inspiring words. I will thank to my girlfriend Nadja 😀 Which is really into Car-Topic and with me at nearly every meet. My friend and carguy Pantelis for his awesome work at the Getz and the Genesis also. Tose-Tuning (Sebastian Riebe) who realized the widebody, paintwork and the TÜV things for that conversion. Simon from Tuscani Customs (from Slovenia) for many nice parts from other countrys. If you want to import from Korea or other countrys contact him. AW Autostyling (Andreas Winnenberg) who has imported the Getz Bodykit and many more for me. In Germany he can Import you everything for Hyundai. If you don’t want to Import by yourself he is your man. TF Works, RemakeAuto and BTR also for building the widebodykit with Kei Miura in 2014. And Schmidt Felgen for the Nice custom Rim’s which fits perfectly to the car. Special thanks to Nils Weinberg and Martin Hornung.